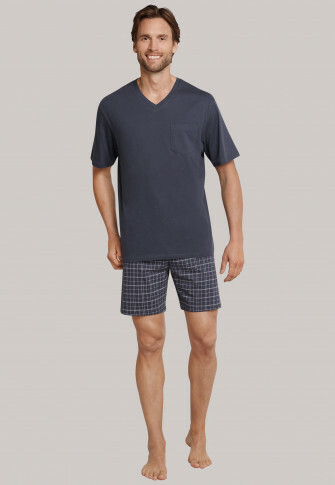 These short gray pajamas score points with sophisticated men through their stylish design and 100% soft cotton. 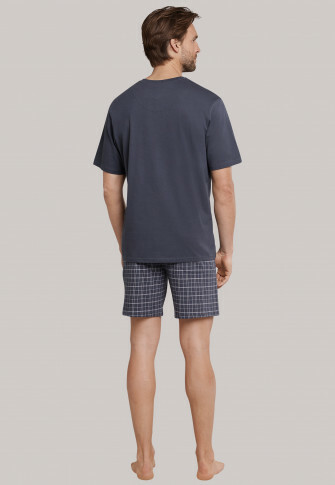 The top with v-neck and chest pocket combined with the short pants in dark blue and white check pattern, with such practical details like a drawstring on the waistband, are perfect partners. 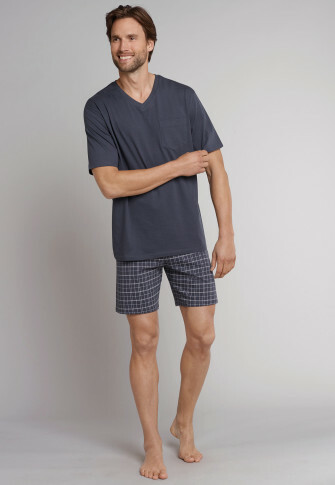 Loose, lightweight single jersey adds comfort and promises pleasant nights with the best SCHIESSER quality! Sieht sehr gut aus und ist vor allem trocknergeeignet.